What are the symptoms of eosinophilic esophagitis? How does eosinophilic esophagitis cause dysphagia? What are the other causes of dysphagia for solid food? How is eosinophilic esophagitis treated? What about elimination diets for treating eosinophilic esophagitis? What is the future of eosinophilic esophagitis? Eosinophilic esophagitis is an inflammatory condition of the esophagus that affects both children and adults, and men more than women. Eosinophilic gastroenteritis may be due allergy to an as yet unknown food allergen. The major symptom in adults with eosinophilic esophagitis is dysphagia (problems swallowing) for solid food. Eosinophilic esophagitis stiffens the esophagus so that solid foods have difficulty passing through the esophagus and into the stomach. Eosinophil deposition in esophagus can be in form of ridges or rings which can impede the passage of food. Other common causes of dysphagia for solid food are esophageal strictures and Schatzki rings. The diagnosis of eosinophilic esophagitis usually is made during an endoscopy (EGD), performed for the evaluation of dysphagia. The diagnosis is confirmed by biopsy of the esophagus. The treatment of eosinophilic esophagitis is with proton pump inhibitors and swallowed fluticasone propionate or budesonide. Gentle esophageal dilatation is used when meditations fail to relieve dysphagia. Eosinophilic esophagitis is an inflammatory condition in which the wall of the esophagus becomes filled with large numbers of eosinophils, a type of white blood cell. The esophagus is a muscular tube that propels swallowed food from the mouth into the stomach. Esophagitis refers to inflammation of the esophagus that has several causes. The most common cause of esophagitis is acid reflux, which most frequently results in heartburn. Acid reflux can also cause ulcers in the inner lining of the esophagus. Other less common causes of esophagitis include viruses (such as herpes simplex), fungi (such as Candida), medications that become stuck in the esophagus (such as the antibiotic, tetracycline), and radiation therapy (such as during treatment of lung cancer). Doctors believe that eosinophilic esophagitis is a type of esophagitis that is caused by an allergen for two reasons. First, eosinophils are prominent in other diseases associated with allergies such as asthma, hay fever, allergic rhinitis, and atopic dermatitis. Second, people with eosinophilic esophagitis are more likely to suffer from these other allergic diseases. Nevertheless, the exact substance that causes the allergic reaction in eosinophilic esophagitis is not known. The hallmark of eosinophilic esophagitis is the presence of large numbers of eosinophils in the tissue just beneath the inner lining of the esophagus. Eosinophils are white blood cells (leukocytes) manufactured in the bone marrow and are one of the many types of cells that actively promote inflammation. They are particularly active in the type of inflammation caused by allergic reactions. Thus, large number of eosinophils can accumulate in tissues such as the esophagus, the stomach, the small intestine, and sometimes in the blood when individuals are exposed to an allergen. As previously mentioned, the allergen(s) that causes eosinophilic esophagitis is not known. It is not even known whether the allergen is inhaled or ingested. Eosinophilic esophagitis affects both children and adults. For unknown reasons, men are more commonly affected than women, and it is most commonly found among young boys and men. This article primarily deals with the diagnosis and management of swallowing problems (dysphagia), the most common complication in adults with eosinophilic esophagitis. The major symptom in adults with eosinophilic esophagitis is difficulty in swallowing solid food (dysphagia). Specifically, the food becomes stuck in the esophagus after it is swallowed. Less common symptoms include heartburn and chest pain. Eosinophilic esophagitis decreases the ability of the esophagus to stretch and accommodate mouthfuls of swallowed food probably as a result of the presence of so many eosinophils but also, perhaps as a result of some scaring that occurs in the wall of the esophagus. As a result, solid foods (particularly solid meats) have difficulty passing through the esophagus. When solid food sticks in the esophagus, it causes an uncomfortable sensation in the chest. The sticking of food in the esophagus is referred to as dysphagia. If the solid food then passes into the stomach, the discomfort subsides, and the individual can resume eating. If the solid food does not pass into the stomach, individuals often must regurgitate the food by inducing vomiting before they can resume eating. Rarely, the solid food becomes impacted, that is, it can neither pass into the stomach nor be regurgitated. The impacted solid food causes chest pain that can mimic a heart attack, and also causes repeated spitting up of saliva that cannot be swallowed because of the obstruction in the esophagus. Individuals with impacted food are unable to eat or drink. To relieve the obstruction, a doctor usually will have to insert a flexible endoscope through the mouth and into the esophagus to remove the impacted food. How eosinophilic esophagitis causes symptoms of abdominal pain, vomiting, and failure to thrive in children is not clear. The most common causes of dysphagia for solid food are esophageal strictures and Schatzki (lower esophageal) rings. Esophageal strictures are narrowings of the esophagus that result from inflammation and scarring, most commonly from chronic acid reflux. Strictures usually are located in the lower esophagus near the entrance of the esophagus into the stomach where the acid reflux is most severe. Schatzki rings are thin webs of tissue of unclear cause that can narrow the lumen (center) of the esophagus through which food passes. They also are located in the lower esophagus. A less common cause of dysphagia for solid food is esophageal cancer that narrows the esophageal lumen. A still less common cause of dysphagia is disorders of the muscles of the esophagus. For example, achalasia, a disease of the nerves and the muscles of the esophagus that prevents the muscle at the lower end of the esophagus (the lower esophageal sphincter) from relaxing and allowing swallowed food to pass into the stomach. Unlike the other causes of motility disorders, achalasia usually results in problems with swallowing both solid and liquid food. The diagnosis of eosinophilic esophagitis is suspected whenever dysphagia for solid food occurs, even though it is not one of the most common causes of dysphagia. Dysphagia almost always is evaluated by endoscopy (esophagogastroduodenoscopy or EGD) in order to determine its cause. During the EGD, a flexible viewing tube or endoscope is inserted through the mouth and into the esophagus. This allows the doctor to see the inner lining of the esophagus (as well as the stomach and duodenum). Cancers, esophageal strictures, Schatzki rings, and usually achalasia, all can be diagnosed visually at the time of EGD. The doctor performing the EGD also may see abnormalities that suggest eosinophilic esophagitis. For example, some patients with eosinophilic esophagitis have narrowing of most of the esophagus. Others have a series of rings along the entire length of the esophagus. Still others have furrows running up and down the esophagus and a few have small white spots on the esophageal lining which represent pus made up of dying mounds of eosinophils. The diagnosis of eosinophilic esophagitis is established with a biopsy of the inner lining of the esophagus. The biopsy is performed by inserting a long thin biopsy forceps through a channel in the endoscope that pinches off a small sample of tissue from the inner lining of the esophagus. A pathologist then can examine the biopsied tissue under the microscope to look for eosinophils. In many patients with eosinophilic esophagitis, however, the esophagus looks normal or will show only minor abnormalities. Unless biopsies are taken of a normal-appearing esophagus, the diagnosis of eosinophilic esophagitis can be missed. In fact, not taking biopsies has resulted in some patients having dysphagia for years before the diagnosis of eosinophilic esophagitis is made, and doctors are now more likely to perform biopsies of the esophagus in individuals with dysphagia, even those with a normal-appearing esophagus, who have no clear cause for their dysphagia. The incidence of eosinophilic esophagitis is on the rise in the U. S. This rise in incidence may reflect either increased awareness of the disease among the doctors treating patients with dysphagia or an actual increase in the prevalence of this disease. The treatment of eosinophilic esophagitis is with gentle esophageal dilatation, and medications. The goal of treatment is to relieve symptoms of dysphagia. For decades, gastroenterologists have been treating patients with dysphagia from eosinophilic esophagitis in the same manner as patients with dysphagia due to esophageal strictures and Schatzki rings. Esophageal dilatation involves physically stretching the strictures or fracturing of the strictures or fracturing the rings, thus allowing freer passage of solid food. Stretching or fracturing of the strictures or rings can be performed with endoscopes, long and flexible dilators of different diameters inserted through the mouth, or with balloons inserted into the esophagus through a channel in the endoscope. The balloons are positioned at the level of the stricture or ring and then inflated to break the stricture or ring. While esophageal dilatation has been an effective and usually safe treatment, doctors have observed that some patients with eosinophilic esophagitis develop tears in the esophageal lining that can lead to severe chest pain after dilation. Rare cases of esophageal perforations (tears through the entire esophageal wall) also have been reported. Esophageal perforations are a serious complication that can lead to infections in the chest. Thus, although doctors may still use dilatation to treat dysphagia from eosinophilic esophagitis, they now are more likely to use smaller dilators and less force than they would when treating esophageal strictures and rings. Moreover, doctors also are more commonly using medications to treat dysphagia from eosinophilic esophagitis and using dilation only when medications fail. The medications primarily used in treating eosinophilic esophagitis are fluticasone propionate (Flovent), budesonide suspension, and proton pump inhibitors (Protonix, Nexium, Aciphex, Prevacid, Prilosec, Dexilant, and Zegarid). Although oral steroids are effective in treating eosinophilic esophagitis, the side effects of orally-administered steroids limit their use. One new oral steroid that is being tested is budesonide, an orally-administered steroid that is absorbed into the body but is rapidly destroyed, resulting in fewer serious side effects. The current treatment of eosinophilic esophagitis is with swallowed (not inhaled) fluticasone propionate. Fluticasone propionate is a synthetic (man-made) steroid that is related to the naturally occurring steroid hormone, cortisol or hydrocortisone, produced by the adrenal glands. These steroids have potent anti-inflammatory actions. When used as an inhaler, fluticasone propionate reduces inflammation in the airways of patients with asthma, thus relieving wheezing and breathing difficulties. When fluticasone propionate is swallowed, it has been shown to reduce the eosinophils in the esophagus and relieve dysphagia in patients with eosinophilic esophagitis. In treating eosinophilic esophagitis, fluticasone propionate is administered with the same inhaler as for asthma but without the usual spacer in the inhaler. The removal of the spacer causes the fluticasone propionate to deposit in the mouth rather than enter the lungs. The fluticasone propionate that deposits in the mouth is then swallowed with a small amount of water, usually twice daily for several weeks. Patients are instructed not to eat or drink for two hours after each treatment. Improvement in dysphagia usually is prompt, within days or weeks. Most patients develop recurrent symptoms after stopping treatment require treatment and/or continuous retreatment. When used in low doses, little of the fluticasone propionate is absorbed into the body and therefore side effects are minimal. One possible side effect is thrush (infection of the mouth and throat by a fungus, candida), which is relatively easy to treat. When higher doses are used for a prolonged period, enough fluticasone propionate may be absorbed to cause side effects throughout the body. Side effects of high doses of fluticasone propionate are similar to the side effects of oral steroids such as prednisone and cortisone. Proton pump inhibitors, pantoprazole (Protonix), esomeprazole (Nexium), rabeprazole (Aciphex), lansoprazole (Prevacid), dexlansoprazole (Dexilant), and omeprazole (for example, Prilosec, Zegarid) reduce production of acid by the stomach. They are very safe and effective treatment for the symptoms of acid reflux and esophagitis. Since acid reflux may aggravate esophagitis in some patients with eosinophilic esophagitis, doctors frequently use proton pump inhibitors for treating eosinophilic esophagitis. Proton pump inhibitors do not treat the underlying eosinophilic esophagitis; however, and treatment with fluticasone or another steroid usually is required as well. The leading theory about the cause of eosinophilic esophagitis is that it represents allergy to some protein found in food. Evidence has accumulated in children that diets that eliminate the allergy-inducing food can result in reversal of the esophagitis and disappearance of the eosinophils. Similar evidence now is accumulating in adult patients. Doctors have used elimination diets to define what the allergy-inciting foods might be. There are several ways in which elimination diets can be attempted. The first is to do skin and blood tests looking for specific foods that might be causing the allergy and then eliminating these foods from the diet. The second is to eliminate the major groups of food to which allergy is common, specifically milk protein, soy, peanut/tree nuts, eggs, wheat, and seafood. This is called the SFED (Six Food Elimination Diet). Finally, individuals may be placed on an elemental liquid diet (a diet of digested food that no longer contains proteins that can provoke allergy), and then different foods can be added to the diet until the allergy-inducing food is found. None of these elimination diets are easy for physicians to perform or for patients to follow, especially children, and each has its pros and cons. 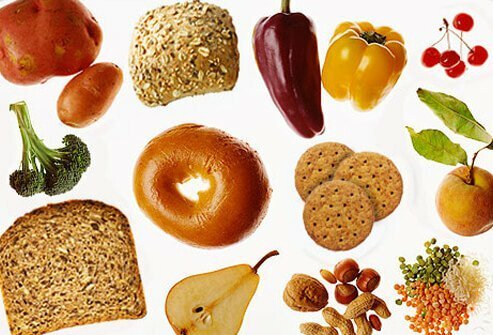 Nevertheless, if one or two foods can be found that are responsible for the allergy, a near-normal diet can be resumed, and the need for medications can be eliminated. Eosinophilic esophagitis in adults is a newly-recognized disease. Therefore, understanding of the cause(s), natural history, diagnosis and management is limited and will evolve over the coming years. Currently, the recommended treatments (for example, with oral fluticasone propionate) are based on a limited number of small studies. More studies involving larger numbers of patients followed for longer periods of time are necessary to determine the long-term efficacy and safety of treatment. Montelukast (Singulair) is an oral leukotriene receptor antagonist that is used for treating asthma and seasonal allergic rhinitis (hay fever). Leukotrienes are a group of naturally occurring chemicals in the body that promote inflammation in asthma, seasonal allergic rhinitis, and other diseases involving allergy. They are formed by cells, released, and then bound to other cells that participate in inflammation. It is the binding to these other cells that stimulates the cells and promotes inflammation. Montelukast blocks the binding of some of these leukotrienes and has been used with success in treating a small number of patients with eosinophilic esophagitis. It improves symptoms but does not reduce the numbers of eosinophils. More studies are needed. Cromolyn is a synthetic compound that is used to prevent allergic reactions. Many of the symptoms and signs of allergic reactions are caused by chemicals, for example, histamine, that are released from mast cells, a type of cell that is found throughout the body as well as in the lungs, nose, and eyelids. Cromolyn works by preventing the release of these chemicals from the mast cells. Cromolyn is inhaled to prevent episodes of asthma due to allergy. It also is used as a nasal inhaler to treat seasonal allergic rhinitis (due to inflammation of the lining of the nose) and as an ophthalmic (eye) solution to treat allergic conjunctivitis (due to inflammation of the lining of the eyelids). More studies are needed to determine whether cromolyn is effective in treating eosinophilic esophagitis. Please describe your experience with eosinophilic esophagitis. What symptoms and signs did you experience with eosinophilic esophagitis? What was the treatment for your case of eosinophilic esophagitis? Did you try an elimination diet to treat eosinophilic esophagitis? Please share your story. Please describe the events that led to a diagnosis of eosinophilic esophagitis. Esophageal achalasia is a disease of the esophagus that mainly affects young adults. Achalasia makes it difficult to swallow, can cause chest pain, and may lead to regurgitation. Here we discuss achalasia symptoms, surgery, treatment, and causes. Learn the definition of achalasia and what you can do to treat the disease. Esophagitis is caused by an infection or irritation of the esophagus. Infections that cause esophagitis include candida yeast infection of the esophagus as well as herpes. Signs and symptoms of esophagitis include cough, mouth sores, chest pain, bad breath, sore throat, heartburn, and difficulty swallowing. Treatment of esophagitis includes diet, lifestyle changes, and medication depending upon the cause.